Happy Quilting: Splendid Sampler Saturday! It's Saturday and I am so happy to be ready to caught up and sharing the latest two blocks of the Splendid Sampler!!! So lets get right to it. 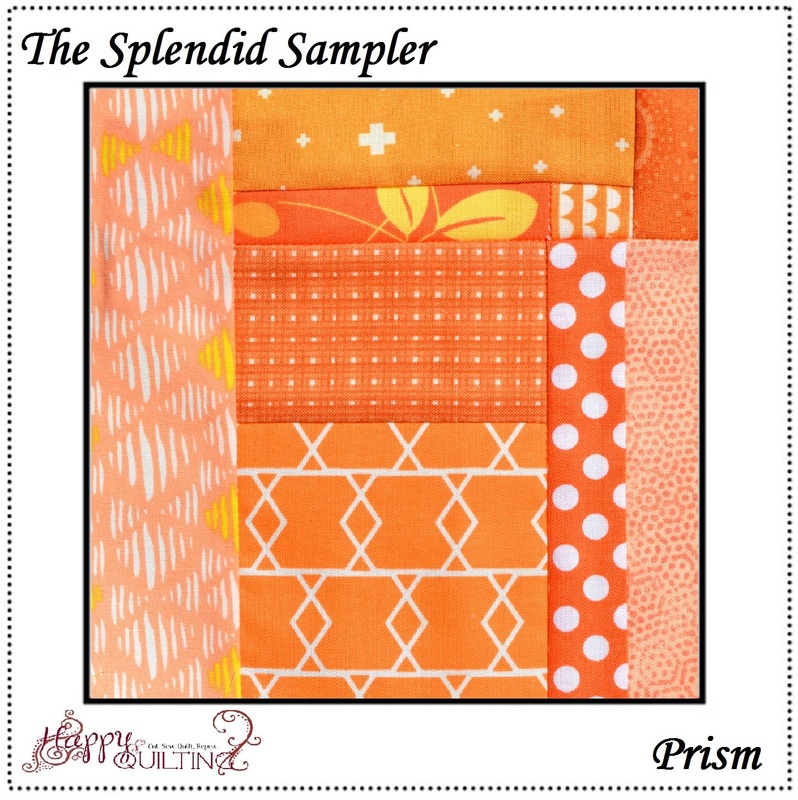 First up, is the Prism block designed by Sara Lawson. This was another one of those nice fast ones that serve as a great little break in between some of the more complex blocks. I really had fun playing with lots of orange little bits for this block. And now I want to make a whole rainbow of them improv. style and just see where it goes. Wouldn't that be so fun, and a great scrap buster!! And next up is Jersey designed by Carrie Nelson. I really enjoyed making up this block and was super happy with the contrast of greens that really let the block design pop. And you knew I was going to love it from the start because it was a star, right ;) I don't think I have met a star block I didn't like making. So fun!!! 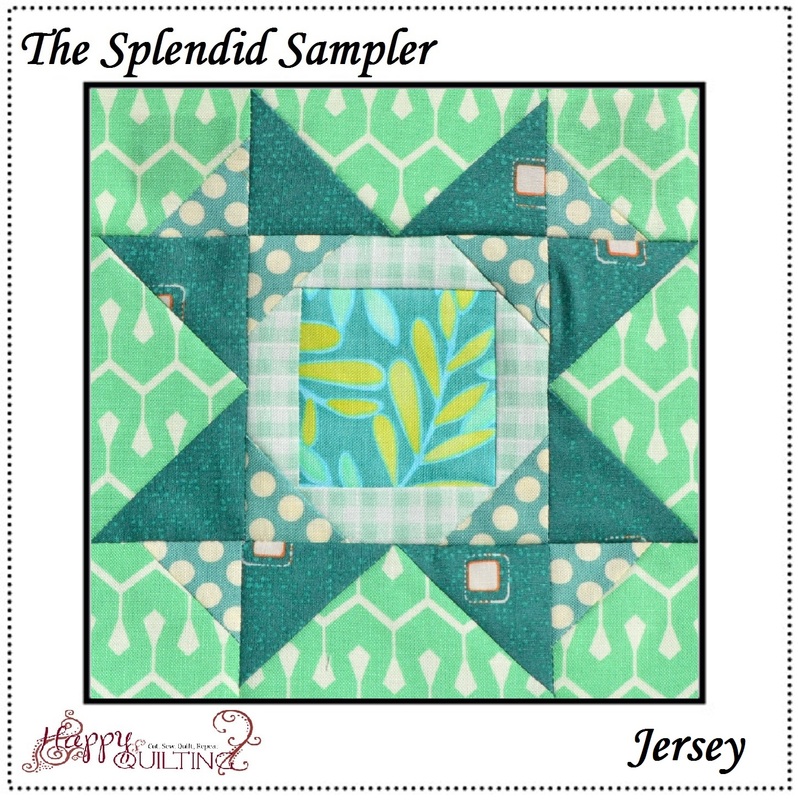 Both blocks are gorgeous and have fun at the Trunk Show!